The SPAB’s advice line is a free and confidential service open to anyone with a technical enquiry relating to old buildings. Our helpline advisors are qualified building surveyors and architects who answer over 1 000 calls a year from building owners, professionals, contractors and others. 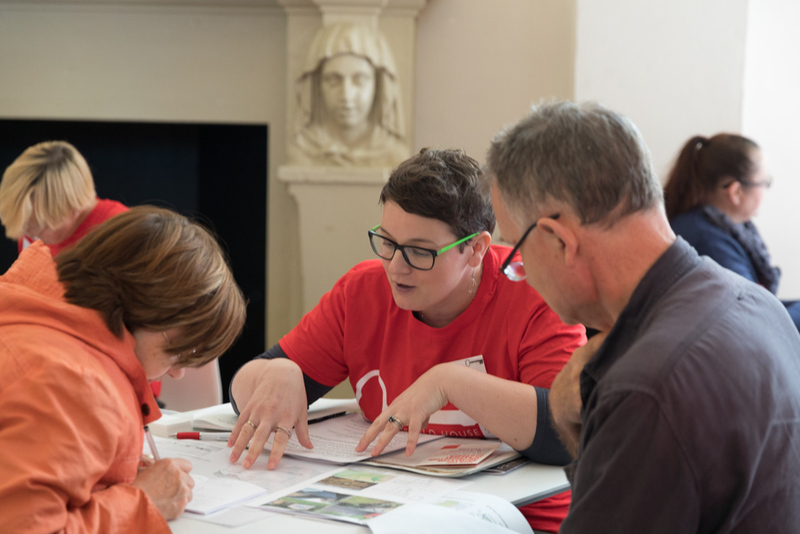 The advisors can also draw on the support of the Society’s Technical Panel, a group recognised for their technical knowledge and experience in the field of building conservation. Our technical line offers advice and information on a diverse range of topics, from controlling dampness to repointing mortar joints and upgrading energy efficiency. We can also suggest the names of professionals, contractors and specialists to you. The SPAB receives no recompense for this service but it is provided as a means of attempting to ensure that experienced people are engaged by those responsible for old buildings. Unlike commercial organisations, the Society dispenses completely impartial advice without the attached strings of any vested financial interest. We cannot be definitive as we are unable to inspect the building but many callers have commented on how useful they have found the service. Because our advice line is provided free of charge on limited resources, with only one member of staff taking calls at any given time, opening hours may vary and the service can become busy at times. If you can’t get through immediately, please do try again. In addition, we suggest that you visit the advice section of our website. Answers can be found here to some of the questions the Society is most frequently asked. You may also find details of a publication that is relevant to your query. Regrettably, we find it difficult to provide individually tailored responses to enquiries by email or in writing. "Thanks for the advice over the phone. It was really useful and has given us a clear way forward"
The SPAB is grateful to Historic England for supporting the technical advice line. The SPAB's technical research is supported by Historic England, Historic Environment Scotland, Dartmoor National Park Authority and Glasgow Caledonian University.